Mazz Murray is popular for her 7-year tenure as the “Killer Queen” in the West End production of We Will Rock You. 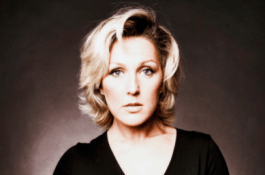 Mazz Murray has worked extensively in theatre and TV having starred in many productions in London and all over the UK including “RENT”, “BOOGIE NIGHTS”, “SMOKEY JOE’S CAFÉ”, “FAME”, “ONLY THE LONELY”, “PIPPIN” and “A GIRL CALLED DUSTY” documenting the life and times of the late Dusty Springfield. Mazz Murray said: “I’m thrilled to be joining IL DIVO as they continue their “Musical Affair” tour world-wide. Having been involved in musical theatre since I was a child, it’s an honour to be a part of this exciting show performing songs from the worlds’ greatest musicals”.